A child should have their eyes tested at around 3 years old, or sooner if there’s a family history of squints / lazy eyes. Usually by the age of three most children have developed the fine motor skills and necessary language that allows them to participate in traditional vision testing. We have tested children earlier than this and can pick up gross abnormalities. However ages significantly younger than this often require specialist assessment and using equipment not available at high street opticians. 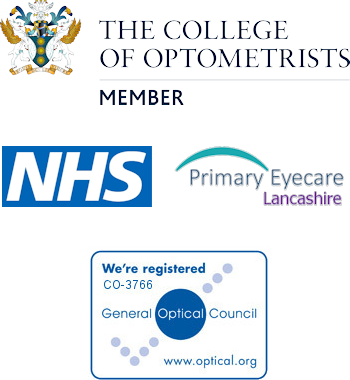 My child has had their vision screening performed at primary school in the Reception year. No problems were found so do I need to have their eyes tested again? Visual screening should pick up any squint, lazy eye, myopia, or significant hypermetropia. A pass on this should eliminate the more serious ophthalmic problems that require immediate attention. However there still can be low levels of hypermetropia, accommodation (focus) and convergence problems that can impair close work function. This can have a marked ability on their school work from initially learning to read in reception right up to the essays / assignments at GCSE age. Because of this the NHS entirely funds eye examinations for children right up to the age of 16. Absolutely not; there can be a wide variation in the products and service you receive from opticians, in the same way that there is in any profession. Some GPs will be more knowledgeable about your particular complaint than others and some may be more willing to prescribe than others. Some dentists will be more keen to give you that filling than others, some mechanics will tell you that an item needs replacing sooner than others. The key is to find someone you can trust at a sensible price. We try hard to give the best service we possibly can whilst also being aware that not everyone in Barlick can afford premium prices.